If you haven't heard, we are on social media! We like to keep you up-to-date when you're on the road or grabbing a quick lunch. 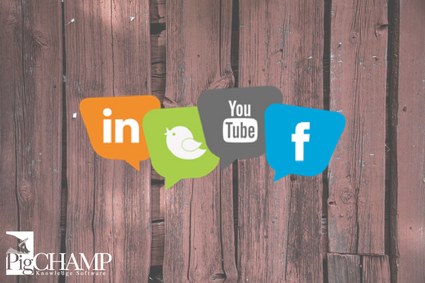 Our Facebook, Twitter, LinkedIn, and YouTube pages are updated frequently, keeping you in the know. Be sure to check them out, give them a like, and share them with your friends! We have a lot of new and exciting things happening at PigCHAMP and we want you to join us! At PigCHAMP, we're always working on bringing you the best in swine management software. With each version of the PigCHAMP program that we release, there are new features and upgrades added. We have made a number of enhancements to Version 6.6.0. 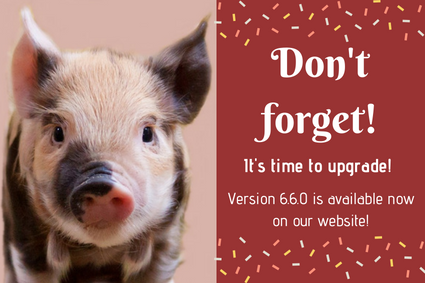 Version 6.6.0 is now ready to download! Be sure to head to our website and download the upgrade to ensure the best fuctionality and to take advantage of all of our improvements! Each month we take the opportunity to highlight one of our Allied Business Partners who provide customer service, training, technical support, and product information to our customers in across the globe. This month, we highlight PIC - South Africa. PIC South Africa is a franchise of PIC International, serving South Africa and Africa as a whole. PIC South Africa combines state-of-the-art quantitative analytics with biotechnology to develop high-quality breeding stock to increase customer profitability. To find PIC - South Africa contact information, visit their page on our website.